As soon as you arrived at The O2 you started to feel as though you were in a world-class Latin American party; with the smell of the delicious traditional food and salsa music from Jesus Cutiño & Son de Cuba, Cali style salsa band Kalison Orquesta performing in the afternoon, and DJ Johnny G playing for the salseros shows, it was sure to be a great celebration of Latin music in London. What happened outside The O2 was just a warm-up of what awaited us inside: the live performance of the Descemer Bueno – a Cuban singer, songwriter, and record producer – and the euphoria he produced in the crowd when he played his song ‘Bailando’ – a song he wrote for the Spanish singer Enrique Iglesias, who was awarded multiple Latin Grammies in 2014, including Song of the Year. Bueno also composed the song ‘Cuando Me Enamoro’, which became a major international hit by Juan Luis Guerra, another big name in Latin American music. After this excellent first show, it was the turn of Columbian pop/urban group Piso 21. The group, who were nominated for Best New Artist at the Latin Grammys, opened with one of their great successes, the romantic song ‘Me Llamas’, and the audience was deliriously enthusiastic for the track (from their hit 2016 album Ubuntu), which ended up reaching the top 40 in several countries throughout Latin America and became their most successful single to date. They continued the concert with a new single ‘La Vida Sin Ti’, which also featured on their second studio album Ubuntu. 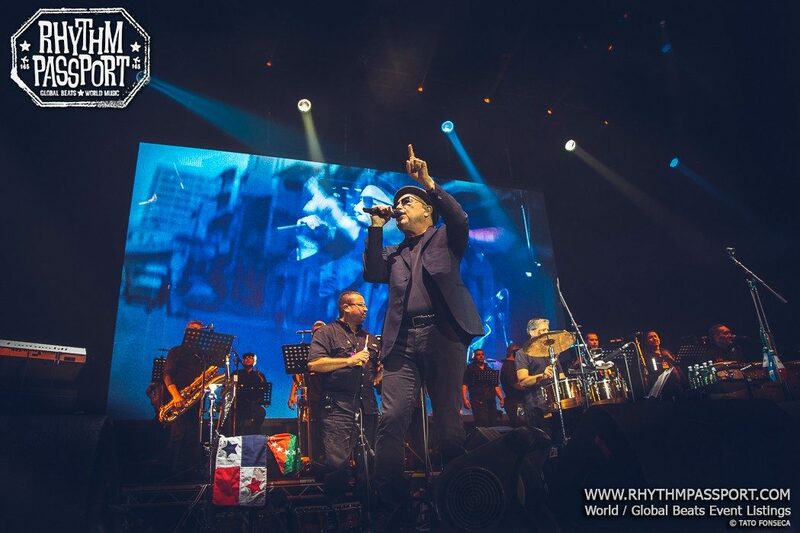 The great singer and poet Ruben Blades always gives us a very particular vision of an existing reality in Latin American countries; he has the ability to take a social theme, add rhythm, give grace and turn it into a song. 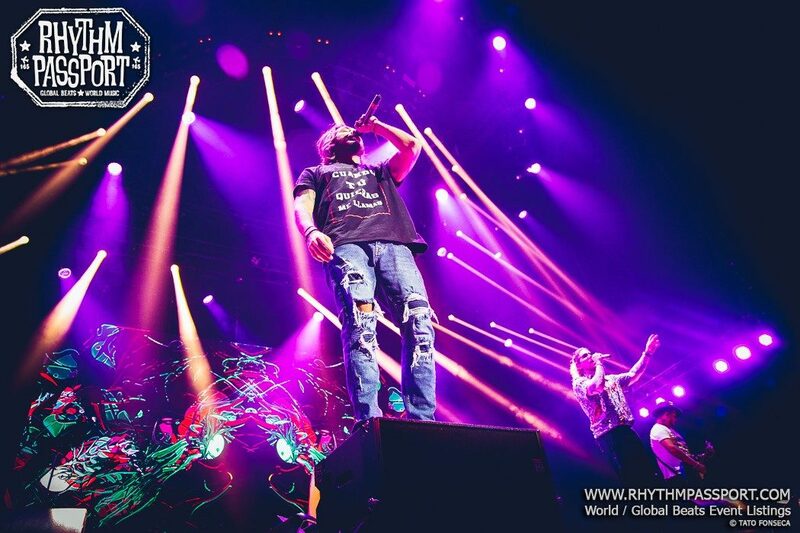 He is an artist of song and rhythm. In one of his latest concerts, he confessed what inspires him: “I write when something bothers me”. Ruben Blades, the poet of the salsa, a singer-songwriter with a 50-year career, over 40 albums, and 17 Grammys, is also a lawyer and Panamanian presidential candidate. He has written more than 200 songs, the lyrics of which so resonate with his fans. During his concerts, the crowds always sing along to all the lyrics, proving that his songs have survived the test of the time. Blades performed Latin sounds that reminded the crowds of home; his show opened with his fabulous band playing ‘Mambo Gil’ by Tito Puentes. After that Blades appeared on stage singing ‘Las Calles’, the lyrics of which talk about the neighbourhoods of any given Latin American city. He sang many great songs but one of the best surprises was when he played a beautiful song in English, ‘Watch What Happens’, composed by Tony Bennet, and another surprise was his performance of the most famous salsa songs ‘Pedro Navaja’. The song deals with life, death and the unexpected, with dark humour; the lyrics say, “Life gives you surprises, the surprises life gives you”. This was one of the best performances of the night but unfortunately, it was only an hour-long set for a such a big artist and amazing band; we deserved the opportunity to listen to him for longer. The energy that I had anticipated from Carlos Vives was evidently there; Colombian flags appeared on the stage, and right away he had the crowd dancing and screaming, all so excited to be there. The most beautiful aspect of the set was how Vives has a way of bringing together younger and older audiences, all in appreciation of his sounds and lyrics. The audience was so enthusiastic; people stayed on their feet for almost the entire two-hour show, dancing and loudly singing along. 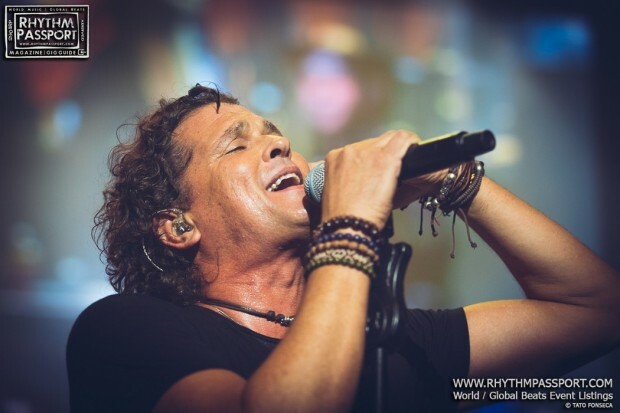 Winning one Latin Grammy must be phenomenal, winning seven Latin Grammys must be simply out of this world, and an absolute dream to most people, but not for Carlos Vives, who has been consistently winning these awards since back in 2000. 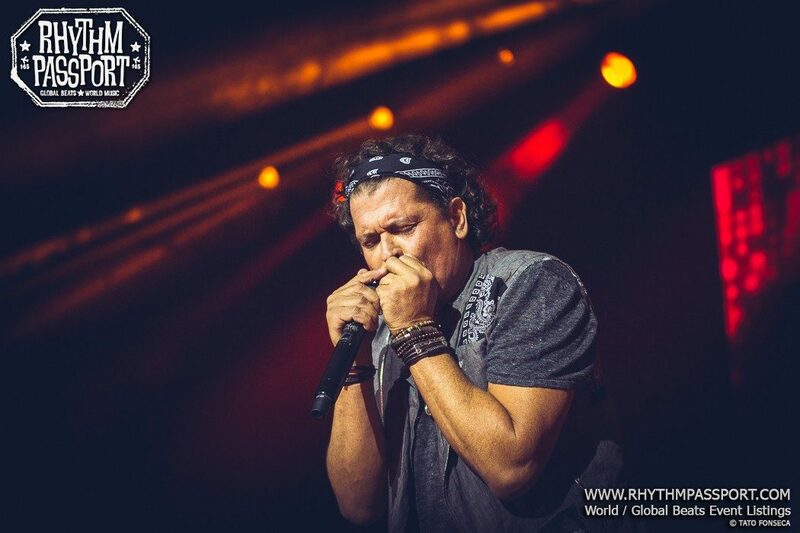 The power of this show was Vives’ essentially Colombian and soulful music; traditional vallenato; a raw accordion and percussion-driven country, sweetened with pop melodies and harmonies, sometimes with a harder drive from rock guitar and bass. His concert was a good mix of old hits and newer rhythms. Vives opened with a song from his album Mil Canciones (A Thousand Songs). He ranged through favourites including ‘Carito’ from his album Dejame Entrar, (which won Best Tropical Song at the Latin Grammys), ‘La Gota Fria’, his remake of an old vallenato song from his 1994 breakout cumbia, his tribute to the Colombian countryside, and ‘La Bicicleta’, Shakira’s first collaboration with Vives. Lyrically, ‘La Bicicleta’ describes the duo’s bike ride beside the beach, as they also sing about the region and its people. This was a great performance! The music, dance and participation of the audience showed what being Colombian (or Latin American in general) is all about!